Since 1970-ties in the theory of syntax of natural language quite a number of competing, incommensurable theoretic frameworks have emerged. Today the lack of a leading paradigm and kaleidoscope of perspectives deprives our general understanding of syntax and its relation to semantics and pragmatics. The present book is an attempt to reestablish the most fundamental ideas and intuitions of syntactic well-formedness within a new general account. 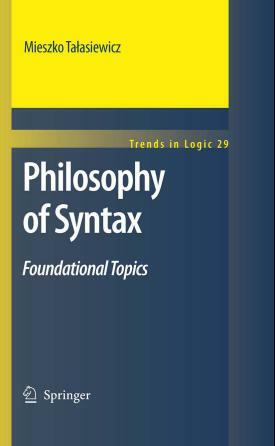 The account is not supposed to compete with any of today’s syntactic frameworks, but to provide a deeper understanding of why these frameworks succeed or fail when they do and to show a new way for cooperation between logicians and linguists which may lead in future to a unified, yet more specific account.